eLearning has become an integral part of education and training. As organizations seek new types of corporate training experiences, many end up turning to traditional Learning Management Systems (LMSs). But is this the right approach? Let me tell you my story and why you should look for Moodle alternatives. After working as a software engineer for a number of large corporations, I set out and founded my own software consulting firm. Because I was hiring engineers located in Eastern Europe, I faced the big hurdle of figuring out how to train them remotely. Without a physical setting in which to train my employees, I needed to create some sort of online academy that would allow me to track their progress. So in 2010 I turned to Moodle, an open source Learning Management System. Schools, universities, companies and governments use Moodle to build virtual learning environments. Because it’s open source, there are no licensing fees. With Moodle, I would have an interface that my employees could use across platforms and devices – and, best of all, it was customizable! Or so I was told. Like me, a lot of people choose Moodle because it’s open source and purportedly customizable. However, people often underestimate the headaches of having to host the system and hire their own developers to make changes. Like most Learning Management Systems on the market, Moodle is just not comprehensively designed to meet emerging eLearning needs. I had to hire Moodle developers. Unless you have the technical know-how to get a learning platform up and running on a server, you will need to hire a developer. Because Moodle is open source, you’ll also have to periodically hire a Moodle developer in order to update it. 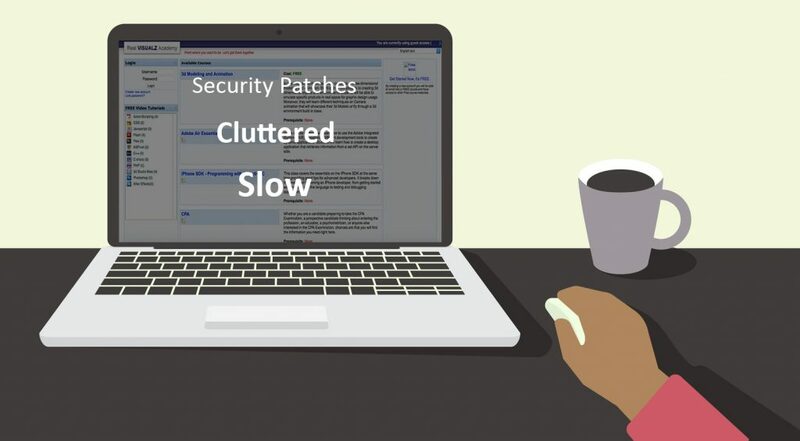 The real pain occurs when you run into security patches, which often break the system. While Moodle is popular on the premise of being free and open source, it ends up costing you money in other ways. Moodle says it is customizable. What that really means is that it lets you change some of the styles and colors. You can add an image here and there, maybe change some heights and widths. But what about changing the layout? Or changing the dashboard or course catalog? Not going to happen. You’re essentially stuck with the layout Moodle gives you and even if you did hire developers to make some of these changes, you would run into so many roadblocks that you would be forced to rewrite the whole system. This was particularly challenging for me because I wanted to use my own logo and domain name. It cost me time and money. With two Moodle developers working 40 hours a week and sinking in $40K, it took nearly four months to create a customized learning environment that fulfilled my needs. Not what I had anticipated! Moodle was meant for a single box environment, or a single server per customer. When your traffic reaches a certain threshold you are forced to get another server. This would involve hiring yet another developer to clone your environment into another server. If you want to run it on a shared environment or in the cloud, you will need to spend more resources to rewrite the system. Security updates often break the system. While Moodle is great at identifying security issues and providing updates, the system often breaks down when updates are being implemented and you may need a developer to fix it. When I first signed up for Moodle, I had no idea how much work would be on my plate. For instance, I needed to have an interactive course area where my students could share, collaborate and post messages. While Moodle has a discussion board feature, I wanted to have something more like a Facebook wall. I didn’t just want students to post messages, I wanted them to be able to post files, multimedia, video, audio and so forth. However, Moodle did not offer this feature nor did it allow me to integrate an external app to do this. Another feature I wanted was a customized dashboard and course catalog. But alas, this proved again to be next to impossible. Making modifications to any already existing feature would mean that I would have to rewrite the system. In other words, I would have to figure out all of the coding to do this. Three things would be involved: Complexity, cost, and time. A lot of time. Essentially, I would not be able to change the core functionality. After two years using this course management system, it was time for me to find Moodle alternatives. Yet the persistent problem was that I couldn’t find any alternative that matched my needs. I searched high and low and found nothing. The only remaining solution was to build my own learning platform. So I began assembling a cloud-based learning management system that would make it easy for me and others to launch an academy in minutes. 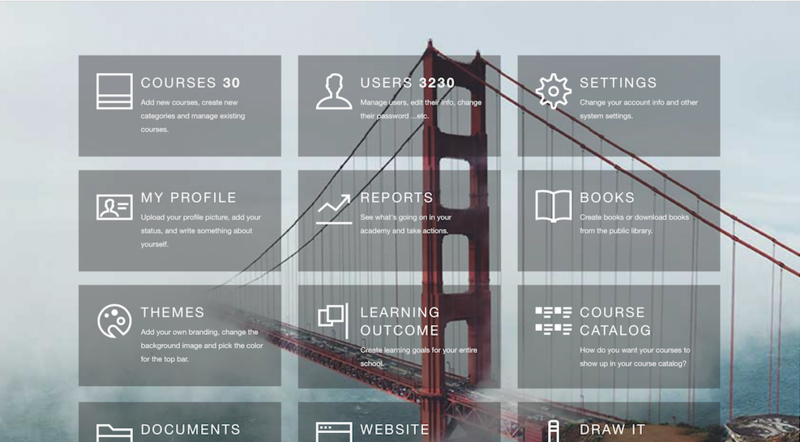 As a default tool for educators, EDUonGo is like the WordPress of Learning Management Systems. You don’t need any programming tools to customize it nor do you need to worry about putting courses on a server. My highest priorities are customization options, flexible pricing, and customer support. Updates are made automatically and our IT support is available 24/7 to help our clients maintain their academies so that it doesn’t become a legacy system. 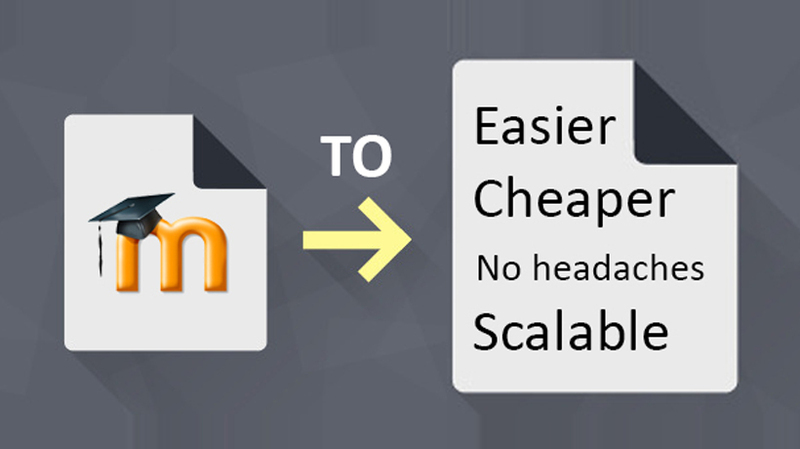 With a fully customizable system, EDUonGo allows for quick setup and flexible scalability. It’s completely cloud-based and can be accessed on any mobile device. Users are given full command of their site’s interface. With options for white label, customized URLs and branding, the design of people’s academies are put in their hands. In addition, EDUonGo incorporates third-party applications so that you can bypass the hassles of pulling from multiple resources across the web. EDUonGo includes standards like LTI, SCORM, as well as Google and Microsoft Office products – OneNote, OneDrive and Office Mix. If you want to sell courses online, we also have an integrated payment process that learners can use to pay for your courses. Today, we have over 1000+ academies from 102 countries in different fields. Our customers range far and wide – from yoga practices in Oregon, to animal therapytraining in Colorado, a restaurant chain in California and vocational training in Australia.